It's cold out today, South Florida style. We had temperatures in the 40's when I left in my T-Shirt this morning (you never lose the internal Pennsylvania ability to fully enjoy a crisp Fall day). Even my four year old eloquently stated, "I can smell the cold" when I asked if he was warm enough. But I knew it was cold when I arrived to my office building where the landlord never bothered to invest in a heating system. My numb hands finished off this Pulitzer story. Shivers to come soon. 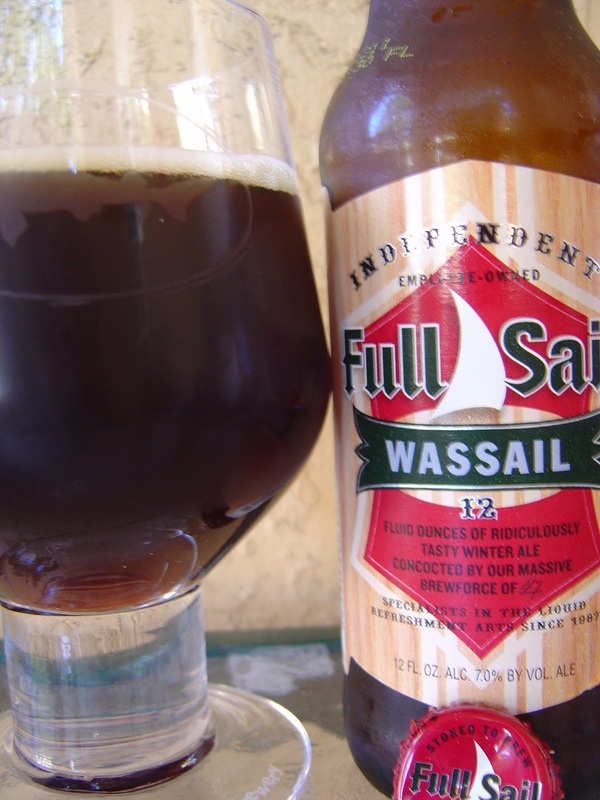 Today I'm drinking Full Sail Wassail brewed by Full Sail Brewing in Hood River, Oregon. 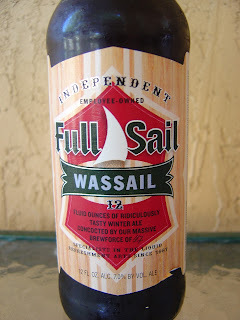 The label says this is "12 fluid ounces of ridiculously tasty winter ale concocted by [their] massive brewforce of 47". The neck label also shows a small photo of Mt. Hood in Winter. Caramel and fruity aroma with molassess, too. 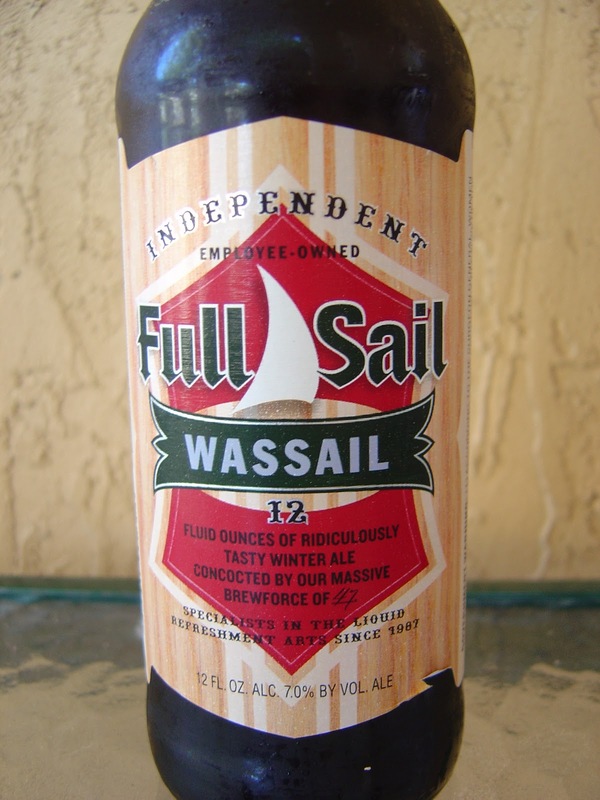 Roasty, toasty and quite malty flavors right in the beginning. There is, however, a distinct orange citrus right behind that. Caramel and some nuttiness also add some additional flavors. The 7.0% alcohol does show up to give a little warmth and also dry things out a lot. Throughout the entire experience, there is a sharp little bitterness on the back of my palate that I find very strange and totally awkward. I also don't find any of the flavors working very well together or complementing each other in the slightest. I guess it's an OK beer at best. Not horrible, but I'd make a midnight beer run for something else, even if this were chilling in my fridge.